The latest version of KeyServer is now K2 7.0.0.5. Run the version check on this page to check which version of which part you are running and if you need to upgrade. 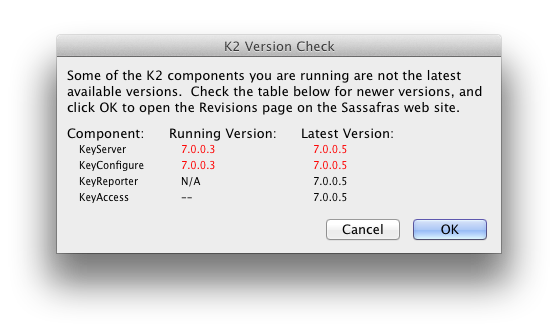 Remember if you are upgrading from a version earlier than K2 v 7 you’ll need a new MacVector license. Contact Support to request one.